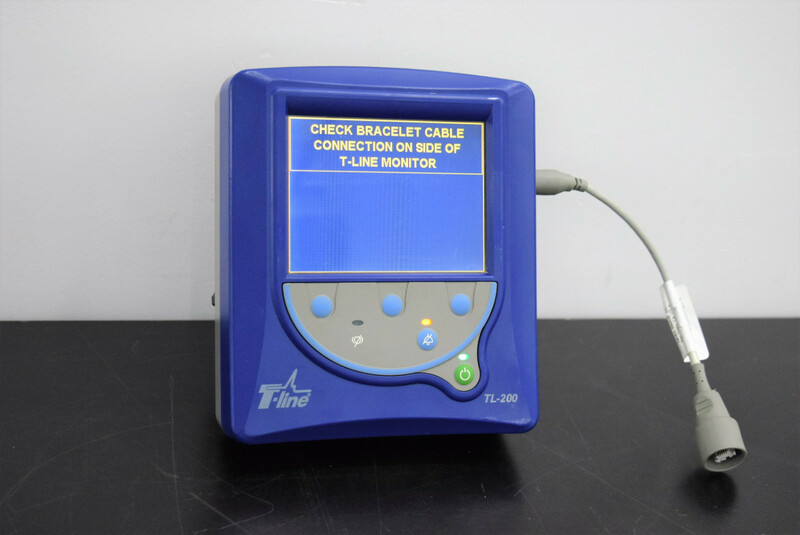 Tensys Medical T-Line TL-200 ICU Continuous Arterial Blood Pressure Monitor . New Life Scientific, Inc. This arterial blood pressure monitor is meant to be used in Intensive Care Units where the patient will need continuous monitoring. It will need the cuff & sensor connection to the cuff to validate any further testing. The monitor is meant to provide arterial blood pressure waveform and beat-to-beat values of systolic arterial pressure (SAP), mean arterial pressure (MAP), and diastolic arterial pressure (DAP). Technical testing involved consists of the monitor powering on and using a cuff from another monitor it follows along detecting what you are doing until it recognizes there is no sensor on the cuff. No further testing could be done. The buyer will need to acquire a cuff and the sensor.